You have to wonder if Freddie Patek would even get drafted by a major league team today. Even back in the mid-1960s when baseball was much different than it is now, Patek wasn’t selected until the 22nd round of the amateur draft, the first draft ever conducted. But of all the players taken in the first round of that draft, only one – the top overall pick Rick Monday – had a better career as measured by Wins Above Replacement (WAR). Patek beat the odds, in more ways than one. See, Freddie Patek was small. Very small. When he was drafted in the 22nd round by the Pirates out of Seguin High School in Texas, he was only 5’4 and about 135 pounds. Small enough to blow over in a stiff breeze. Or insert your favorite short man/small man joke here. But baseball is a game where size, body shape, and pure physical strength matter the least of all the major team sports. Patek had the intangibles to become an All-Star. Just not while he was with the Pirates. Freddie got a shot to be the Pirates everyday shortstop in 1969, when manager Danny Murtaugh, back for his third stint as skipper of the Bucs, inserted Patek in his lineup. Murtaugh liked Freddie’s speed and defense. Patek wrestled the job away from veteran Gene Alley, but after Freddie mustered just 15 extra-base hits in 147 games and more critically, made 30 errors at short, Alley was back as the starter in ’70. A year later, Patek was dealt to the Kansas City Royals as part of a six-player trade. The Royals, in just their third season, wanted a new shortstop. They sent their shortstop Jackie Hernandez – a fella who was even more of an anemic hitter than Patek – to Pittsburgh in the trade. It proved to be one of the best transactions in franchise history. 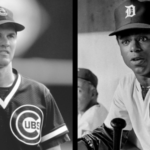 Want an example of how much the game of baseball has changed? In 1971, a player who hit .267 with only six homers and 36 RBI (yes, 36) finished sixth in the American League Most Valuable Player voting. That player was lil’ Freddie Patek, with his new team, the Royals. Patek had just a .323 on-base percentage and a slugging percentage well under .400. But he dazzled observers in the AL with his daring speed and outstanding range in the field. What Murtaugh and the Pirates had missed was that Freddie was making more errors because he got to more groundballs than just about anyone else in the game. In KC, Patek’s defensive range helped the young Royals pitching staff and it endeared him to his teammates. “He can get anything hit to that side of the field,” Kansas City manager Bob Lemon said. Though Freddie was never a frightening sight to opposing pitchers when he stepped into the box, he was a terror once he got on base. In ’71, Patek swiped 49 bases, the second highest total in the league. He also ranked in the top ten in runs scored and hits and led the loop in triples. He was the spark at the top of Lemon’s lineup. On opening day in a win against the Angels, Patek started the season by bouncing a routine grounder to Jim Fregosi at short. Fregosi scooped it and fired to first, but Patek was only out by a half-step. The Angels – and soon the rest of the league – took notice: normal depth was not close enough when defending Patek. Infields had to adjust and come in a few steps to gain enough time to throw the speedster out at first. As a result, Patek opened up holes in the infield. That season, Patek really got rolling in June, when he stole 18 bases in 19 tries and hit .310. In August he did even better – 44 hits in 30 games for a .349 average and 11 more steals. 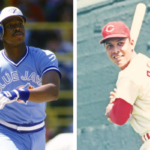 The five players who finished ahead of Patek in the AL MVP race in ’71 were stars on winning teams: Vida Blue and Sal Bando from the A’s; Frank Robinson and Brooks Robinson from the Orioles; and Detroit’s Mickey Lolich. But with Freddie at the top of their lineup and in the middle of their defense, the Royals stopped being push-overs that season, winning 85 games and finishing second. It was the first step toward the dominance the Royals would hold on the AL West, winning six division titles and making the playoffs seven times in 10 years starting in 1976. Patek was definitely one of the seeds that helped bring the Royals dynasty to fruition. He served as the KC shortstop for nine seasons, making the All-Star team three times. He led the AL in stolen bases with a career-high 53 in 1977, and he topped 30 steals eight straight times for the Royals. He did his part to try to get the Royals to the World Series: he hit .389 in both the ’76 and ’77 Playoffs, and in ’78 (against the Yankees all three years) he hit a home run in Game Two to help KC to victory. He was traded before he could get to the Series as a Royal, but when George Brett and Frank White hoisted the trophy in ’85 after winning the Fall Classic, somewhere lil’ Freddie was grinning. And Patek was an integral enough player for those 70s Royals that he earns a place on the Kansas City Royals All-Time Team. Patek never got much bigger than he was when the Pirates picked him in the ’65 draft in the 22nd round. His listed height in his prime was 5’5 and 145 pounds. Compared to David Eckstein, a mighty mite who played the same position in the same league about two decades later, Patek was a miniature. But he had tremendous heart, something that’s extremely hard to measure when pro teams are making draft selections.